The Criminal Trial Division is the backbone of the Office of the Prosecuting Attorney. The prosecuting attorney represents the State of Indiana in all criminal prosecutions. Whether the case involves a juvenile alleged to have engaged in delinquent acts, an adult alleged to have engaged in criminal acts, or a parent who is alleged to have refused to comply with child support responsibilities, only the prosecuting attorney may bring an action in a court of law and obtain a criminal conviction and sentence. As the exclusive law enforcement officer in Elkhart County able to pursue that ultimate accountability for offenders, the prosecuting attorney reviews the work product of the various local law enforcement agencies and assists with legal support where needed; independently performs criminal investigations; and convenes and supervises grand jury proceedings, all for the purpose of determining if criminal behavior has occurred and whether charges should be filed. 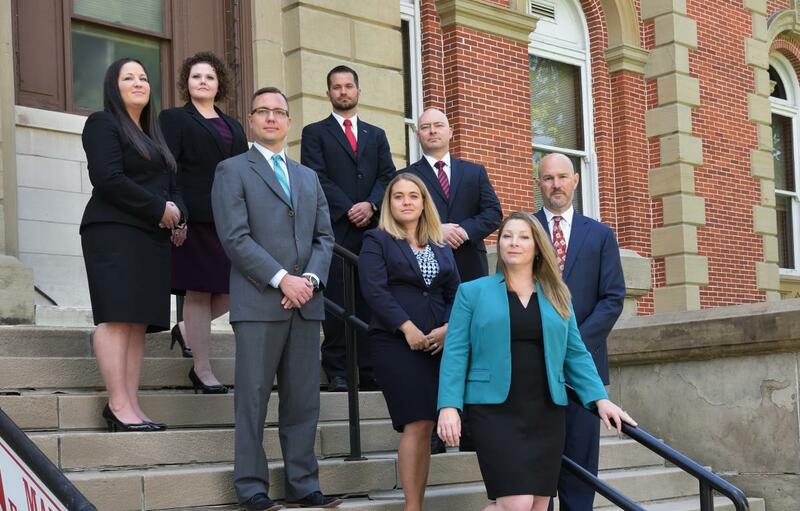 The Criminal Trial Division reviews, initiates and performs all tasks necessary to formally prosecute criminal cases arising within the jurisdiction of Elkhart County, Indiana. In representing the citizens of Elkhart County, Indiana, the prosecuting attorney and his associates seek justice based upon concerns for community safety and well-being, balanced against the responsible utilization of public resources. Prosecutors, investigators and litigation support staff work tirelessly to promote the fair, impartial and expeditious administration of justice. Performing the tasks necessary to hold offenders accountable requires trained professional deputy prosecutors dedicated to the relentless pursuit of justice and tempered by principles of reasonableness appropriate to circumstances in each individual case.